Aquaman became the most unlikely breakout success for DC Films, and things aren’t slowing down anytime soon. 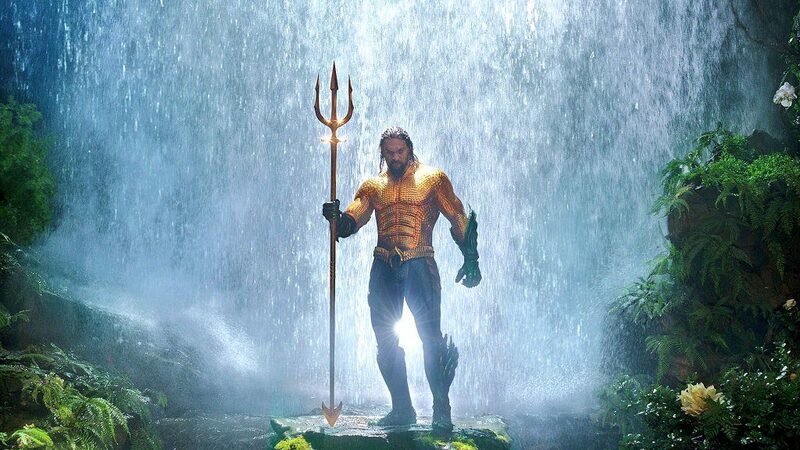 Work is now underway on Aquaman 2, with the first movie’s co-writer getting a promotion to lead the charge to develop the sequel’s script. The Wrap has learned that David Leslie Johnson-McGoldrick will be back for round two of the adventures of Atlantis’s new king. All of the key cast members from the first film are likely to return. James Wan and Peter Safran are set to produce the project. This news comes shortly after word got out that DC were developing a horror movie based on the Trench, in an effort to expand upon the world beneath the oceans in a way that would tide audiences over for the eventual sequel. That movie, should it get made, will not going to replace anything on DC’s schedule, and if anything would probably take a slot typically reserved for a New Line horror movie, be it set in the same universe as Wan’s The Conjuring or not. Speaking of Wan, he’s stated that he’s more than willing to come back for the sequel if he likes the script well enough. That probably isn’t too difficult to imagine, given how Johnson-McGoldrick previously turned in a great script to The Conjuring 2, Wan’s last project before tackling Aquaman. Aquaman was able to held DC Films rebound with a stunning gross of $1.1B and counting after disappointing returns on Justice League, a film that cost an estimated $300M but only made over $650M globally. Jason Momoa’s Arthur Curry was commonly seen as the highlight of the crossover film, so it’s not surprising to imagine that people who did enjoy the movie would be back for the next film in the series – which was made for a much leaner $160M to $200M. Aquaman 2 is in development at DC Films. Meanwhile, Aquaman is still in theaters.